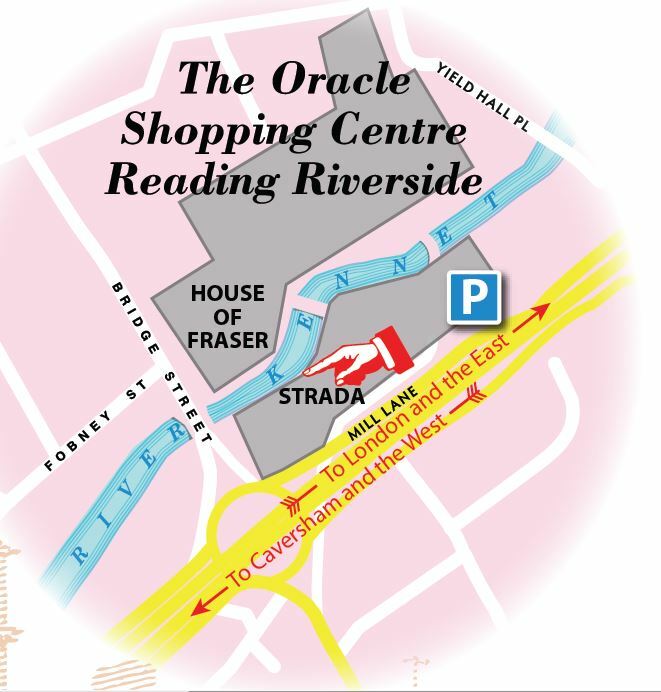 The board was commissioned by Reading Civic Society which gained the necessary support from Reading Borough Council and the Oracle Shopping Centre and, even more importantly, raised the required funds from Society members, members of the public and members of the Simonds family. The Society was keen to take forward this project to complete an idea initiated by Duncan Simonds, their late Life President. 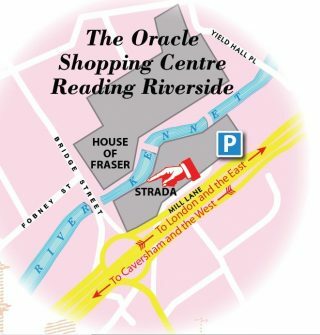 The board’s siting, beside the River Kennet in what is now the retail heart of Reading, reminds today’s visitors of the former industrial uses of the river and what remains of a key part of Reading’s Industrial Heritage which, following the later demise of the Courage Brewery at Worton Grange that replaced the Simonds Brewery in town, has now totally gone. The Information Board was unveiled on February 26th 2009 by the Mayor of Reading with the then Lord-Lieutenant of the Royal County of Berkshire, the Hon Mrs Baylis JP, along with members of the Simonds family, Brewery pensioners and an enthusiastic crowd of well-wishers. The event was recorded in their 2009 newsletter, Click HERE to read it. All the Graphic Design for this and the Brewery History booklet was contributed by Jamie Nimmo, Reading planners were not keen on showing this, so he cleverly concealed our names on the board. We will offer a Simonds Brewery reproduction coaster [UK addresses only] to the first 5 people who contact me with the correct answer to this question; ‘where and how does his name show?’ If you need graphic design like this – let us know. A commemorative brew was commissioned from the Chiltern Brewery for the event to open the festivities. 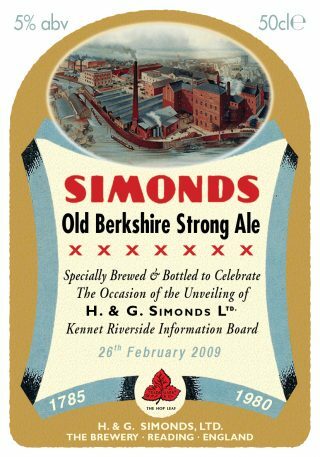 A brief history of H. & G. Simonds Ltd. can be found in the ‘History’ tab; “The Story of the Bridge Street Brewery, Reading 1785-1980”.